I know I'm admitting my age when I write this but I spend so much time reviewing children and young adult books that I don't often get to express why I write here. I was a prolific reader growing up. I read whatever I could get my hands on. Since I grew up in a low income neighborhood with parents who didn't share the same love of reading, I didn't get very many trips to the public library. Instead, I looked forward to the arrival of the Bookmobile in my neighborhood. I felt lucky to have a mobile library show up on my street. When I was old enough to go to school and take advantage of the school library, I felt like I was in heaven. My daughter latched on to my love of reading, my sons not so much. 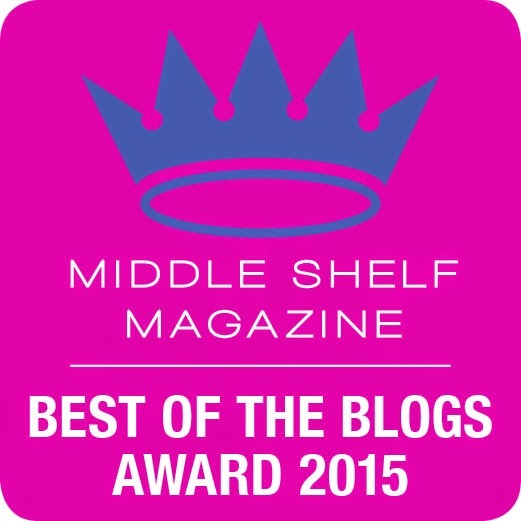 This is one of the reasons I started this blog in the first place. I wanted to light a fire for my sons and make sure they knew that reading wasn't just for girls. I had one picture book that made a profound impact on my white world. 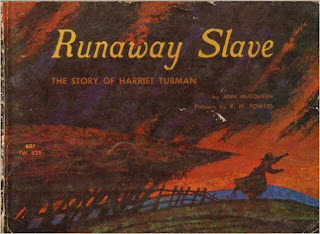 That book, Runaway Slave, introduced me to my first heroine, Harriet Tubman. I read this book over and over, incensed at how slave owners treated other human beings. I became more incensed every time I heard friends or family members make racist comments about my black fellow Americans. Did they not understand my love for Harriet Tubman? A woman who single handedly saved 70 slaves by putting her life in danger and the lives of others through the Underground Railroad network. I liked to believe I would have been one of those white women who hung my quilt in the window to let those families know I would provide a safe haven. As a child, I am ever grateful that my parents let me watch the whole miniseries Roots. I will never forget Kizzy Kinte spitting into her white slave owner's cup of water and how I cheered Kizzy on for that small act of rebellion. I also cheered Kizzy on for learning to read. I celebrate Black History month to remind myself how it important it is to treat each other humanely and with love and compassion. I shook my head in disgust when an extended family member posted on his Facebook page about how the Black Lives Matter Movement is racist. I knew he would never understand what it is really all about no matter what I said. However, this is my page and I can rise up up to say I understand why the movement is necessary and why we still have a long way to go in this country in regards to the issue of race. I am glad we get a month to reflect on those African Americans who have contributed so much to our country. I stand as a white woman to celebrate freedom and respect for all. To tell the world that I'm proud that the heroine of my youth was a black woman and that she still is a beacon of strength in my life. I stand for humanity. I celebrate black history month and the books that touch the lives of so many. I have two books for Black History Month I'll be reviewing in the next few weeks so stay tuned.